It is arguable we’re lurching to the hard right because there’s been big money to be found for conservative think tanks, such as the US Heritage Foundation, our Institute of Public Affairs and the Sydney Institute, because these bodies believe things are pretty right as they are. (“Only leftists and socialists want ‘reform’.”) This mindset of course appeals to the 0.1% who have become significant donors. Did our tax regimes, moreover, have to be redesigned to relegate land and resource taxation to the bottom of the barrel for revenue bases, instead of at the top where it stood in the progressive era? 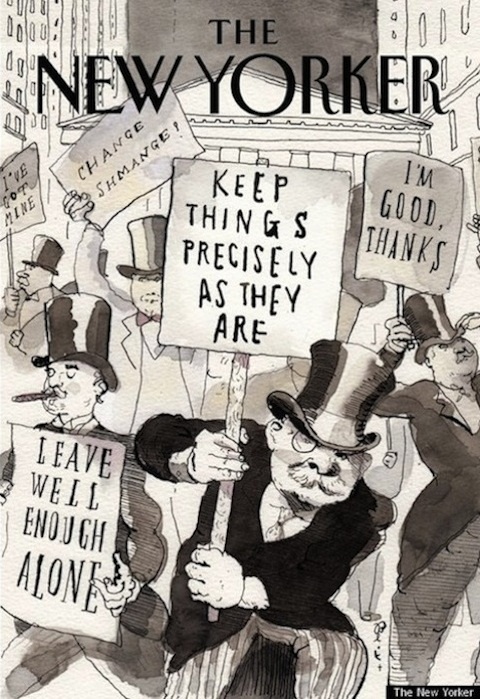 Observant readers will have noticed that much of the world is currently reaping the whirlwind for appeasing those who sought capital gains in residential bubbles but, curiously, their politicians have not had the gumption to see to it that this won’t be permitted to happen again by introducing taxes on land values whilst abolishing punishing taxes on business, workers and thrift. In Australia, the Henry Tax Review was not whistling ‘Dixie’ in 2008 when it claimed: “economic growth would be higher if governments raised more revenue from land and less revenue from other tax bases”, but we’ve avoided a real estate crash to date and are mollified by those pundits who claim “Australia is different. Here it’s all about supply and demand.” Sure! Although the taxation of land and natural resources remains pretty-well invisible to economists, politicians and the public, the following couplet hints that the economic rent of our land and natural resources needs to become part of the public discourse. If the economics text books have to admit that the Physiocrats and Henry George were right that revenues from economic rents cannot be passed on in prices like taxes – generating massive deadweight in the economy – how have the 1% managed to fight back to avoid further investigation of the subject? “The percentage [of property rent in the economy] has dropped to well under one percent today”, New Ideas from Dead Economists: an introduction to modern economic thought, Todd G Buchholz, Plume, 2007, p.86. “But by 2000 urban land rents represented only four percent of national income”, A Farewell to Alms, Gregory Clark, Princeton University Press, 2007, p.198. “Rent is one percent of the US income in 2004”, Economics, Paul Krugman and Robin Wells, Worth Publishers, 2006, p.283. “Rental income was 4.7 billion, or 0.079% of GDP in 1992”, Economics (Third Edition), Karl Case and Ray Fair, Prentice Hall, 1994, p.559. “Rental income is $7.9 billion of a total GNP of $5,234 billion, or 1.5 percent”, Economics: Principles and Policy, Fifth Edition, William J Baumol and Alan S Blinder, Harcourt Brace, 1991, p.137. “… land rent forms such a small percentage of national income: that 2% is nothing compared to the present tax percentages which is around 30”, Income Distribution, Jan Pen, Pelican, 1974, p.210. Although these gross misstatements are typical, work by the Land Values Research Group and Prosper Australia’s Karl Fitzgerald’s Total Resource Rents of Australia, 2013, show land and other economic rents to be a quarter of the Australian GDP which, although deserving of headlines, has been buried by the neo-classical economics fraternity who have a lie to uphold. Why is this exactly? People would do well to demand answers from their economists and politicians about the vast quantum of community-created economic rent currently being privately purloined by the 1%, because ignorance on the subject allows the super-wealthy to continue capturing more and more of the GDP at the expense of the 99%. Whilst we breast-beat about growing inequality, we ignore the mechanism that brings this about. Yes, as you ask Tony Abbott and Joe Hockey, we certainly DO understand that if this rotten budget isn’t passed taxes may have to be increased. But you won’t acknowledge it’s about FROM WHERE we get our taxes, otherwise you wouldn’t be revelling in the fact that you’re abolishing the mining tax. We NEED a mining tax guys, preferably like the original mining tax, the RSPT, which would have brought mining in line with Australia’s non-controversial petroleum tax. Perhaps you might try to explain the difference between a resource rent on mining and one on oil and gas? Why should we NOT seek our fair return on both? Currently 80% of our mineral profits are repatriated overseas. Is the Liberal Party ignorant of all these facts, or perhaps it acts as a tool for those speculators in Australia’s land and natural resource rents who have directed us towards imminent financial calamity? The Labor alternative is also running scared of the Henry Tax Review recommendations Tony and Joe, but it would be nice if you’d stop giving Australia’s biggest rent-seekers a free ride at the same time you seek to penalise businesses, workers and the poor. You’re treating Australians as mugs.